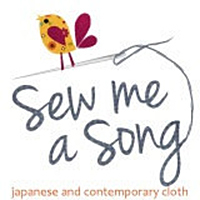 I saw this really cute boy’s t-shirt in the Chasing Fireflies catalog this spring. Timothy loves pirates so I knew he’d like it but I can’t pay $34 for a t-shirt! So I stuck the picture on my inspiration board and finally did something about it! Here is my little pirate! I got the t-shirt at Target for $4.00. 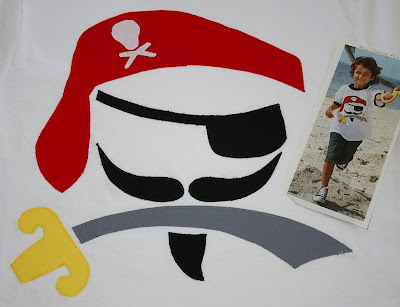 I used Kona solids and Steam a Seam Lite fusible web and appliqued my sketched version of the pirate image. I’m really happy with the way it came out and the savings too of course! I do wish I had done this earlier in the summer but I think it is big enough for next year, he can layer it in the fall, and this way it isn’t stained for school!